Do I Have to Mark My Product as “Made in China”? 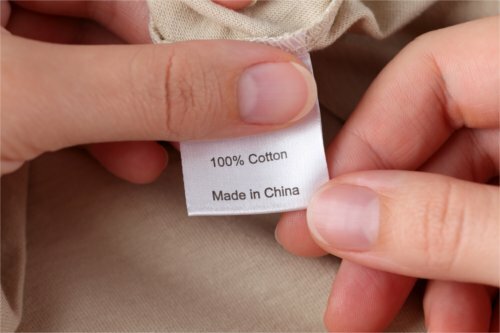 Home » Importing » Do I Have to Mark My Product as “Made in China”? Under United States law, a product’s ‘country of origin’ must be properly marked. That being said, these requirements are by no means simple. Many different federal agencies regulate products coming into the United States from China. Indeed, depending on the specific nature of your products, they may be subject to regulations promulgated by any combination of the U.S. Customs and Border Protection, the Food and Drug Administration (FDA), the Federal Trade Commission (FTC) or the Consumer Product Safety Commission (CPSC). Dealing with this complex web of regulations can be extremely confusing for companies that are first starting to work with Chinese manufacturers. You cannot overlook the importance of proper labelling. If you fail to follow regulations, your products may be held up at customs, or your company could be on the hook for penalties or financial damages. Here, our experienced China product sourcing agent highlights some of the important things you need to know about country of origin labelling requirements. Under 19 U.S.C. § 1304, articles of foreign origin must be marked with the origin country in a clear, legible, permanent and easily viewable manner. The origin location should be marked to indicate the country’s English name. While this regulation appears clear enough on the surface, there are many complications and major exceptions that make this issue more challenging. It is not always easy to determine a product’s true ‘country of origin’. Of course, in some cases, the answer is very clear. For instance, if you are ordering blue jeans, and they are manufactured entirely in China, then there is no doubt that ‘China’ should be marked as the appropriate country of origin for that product. However, if you are ordering component parts, the country of origin becomes far less clear. Under the regulations, the last country in which a product was ‘substantially transformed’ is that product’s proper country of origin. For example, if an American company had some small wires produced in China, and then used those wires in the process of making a computer in the U.S., then the ‘United States’ is the appropriate country of origin for the entire computer. This is true even though that computer contained wires that were manufactured entirely within China, because the product was ‘substantially transformed’ in the United States. Substantial transformation is a complex test, and it must be always administered on a case-by-case basis. Additionally, certain products are exempt from individual marking requirements. These products instead should have their country of origin marked clearly on the packaging. The general standard is that products will be exempt from individual marking if requiring such marking would be unrealistic, impossible or commercially impracticable. For instance, products that are small or extremely delicate will not require individual country of origin markings. Further, if it is deemed unreasonably expensive to mark products, they may be exempt from individual marking requirements. At Global Trade Specialists, Inc., our China sourcing agents have considerable experience handling all customers and product marking regulations. If you have any questions or concerns about getting products manufactured in China, we can help. Please contact us today at (719) 264-5007 or email us directly online.